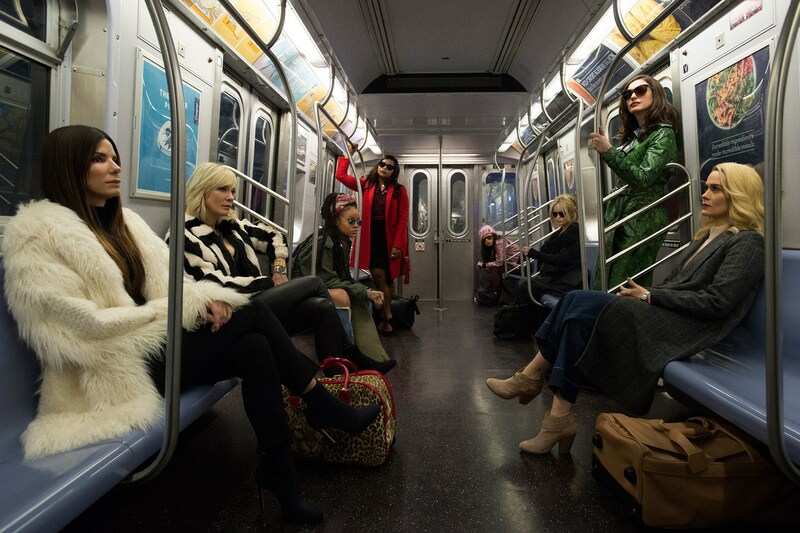 Warner Bros and Village Roadshow have released the first image of its upcoming female-driven caper film Ocean’s 8. In Summer 2018, the tide will turn as (left to right) Debbie Ocean (Sandra Bullock) attempts to pull off the heist of the century at New York City’s star-studded annual Met Gala. Her first stop is to assemble the perfect crew: Lou (Cate Blanchett); Nine Ball (Rihanna); Amita (Mindy Kaling); Constance (Awkwafina); Rose (Helena Bonham Carter); Daphne Kluger (Anne Hathaway); and Tammy (Sarah Paulson). Gary Ross (The Hunger Games, Seabiscuit) is directing from a script he wrote with Olivia Milch. Steven Soderbergh and Jon Kilik produce. Michael Tadross, Susan Ekins, Bullock, Diana Alvarez and Bruce Berman exec produce and Milch co-produces. Ocean’s 8 will be released in the U.S. on June 8, 2018.